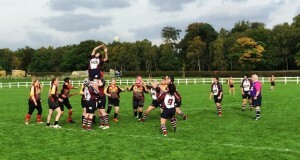 At Scarborough RUFC, we’re proud to offer rugby to both genders and all ages. Our young players are the future of the Club and we now have more than 340 players across 13 different age groups. We work in partnership with McCain Foods to offer youngsters the opportunity to hone their rugby skills through the Active Youth development programme. Each age group team has at least one Rugby Football Union qualified coach and all are DBS checked. Scarborough RUFC is fully committed to the Laws of the Game as laid down in the RFU Mini Rugby Continuum, and follow recognised policies and procedures with regards to Child Protection and Health and Safety. For more information about joining our Active Youth section, please contact our Youth Development Officer James Perrett on: james.perrett@scarboroughrugby.co.uk .